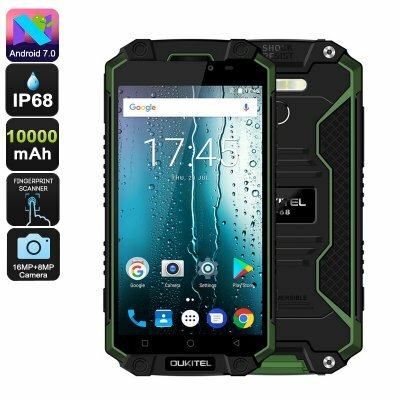 Successfully Added HK Warehouse Oukitel K10000 Max Android Phone - 10000mAh Battery, IP68, Android 7.0, Octa-Core CPU, 3GB RAM (Green) to your Shopping Cart. With its massive 10000mAh battery, the Oukitel K10000 Max smartphone treats you to an unbelievable 40 hours of continuous usage time. Additionally, this powerful cell brings along 15 days of standby time. Thanks to this, you’ll be able to use this amazing smartphone and all it has to offer for days in a row without needing to recharge. Additionally, your rugged phone has been rated IP68 waterproof. 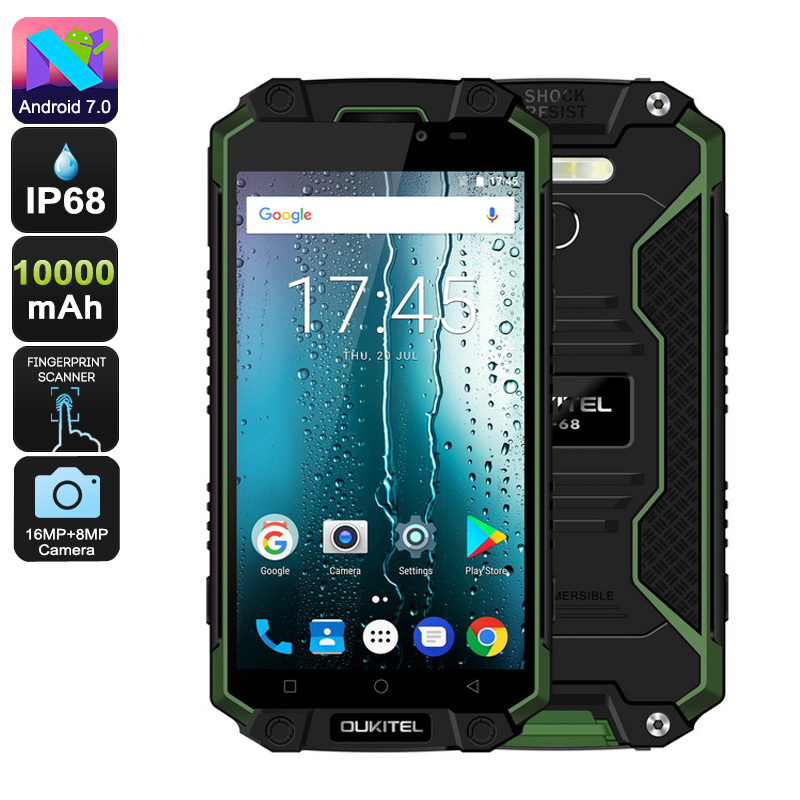 With this Android phone in your pocket, you’ll never have to worry about running out of juice again while heading out into the wild. Along with the phone’s massive battery comes an Octa-Core CPU and 3GB RAM. This amazing hardware makes it possible for you to enjoy the latest and most demanding Apps and media on your Android phone. No matter the type of entertainment you enjoy, the Oukitel K10000 will handle it without dropping a frame. You’ll be treated to 32GB internal memory and a 64GB SD card slot. Therefore, this phone holds enough storage for you to keep and carry along all your files. On the phone’s beautiful 5.5-Inch display, you can undergo a vivid Full-HD visual experience. By treating you to 1080p resolutions, you can be guaranteed that you can enjoy your favorite films and series in absolutely stunning color and detail. The Android phone furthermore treats you to great connectivity thanks to its Dual-IMEI numbers and 4G. Added to that, it also lets you shoot breathtaking images with the phone’s intergraded 16MP rear camera. The Oukitel K10000 Max comes with a 12 months warranty, brought to you by the leader in electronic devices as well as wholesale Android Phones..